For almost 100 years G-U Hardware has been offering a complete range of construction fittings and security equipment for windows and doors. 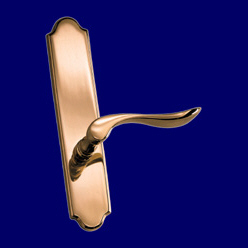 HeartWood proudly offers hardware options from the finest manufacturers around the world. Depending on your application, hardware can be supplied pre-mounted, or our products can be precision machined for field application. If you are considering an alternate hardware source to those listed above, please contact us and we will be happy to evaluate it for you.